#1: Don’t punish harshly. Professor of Sociology, University of New Hampshire, Murray Straus, estimates that 90 percent of parents do not think it wrong to beat children. However, researchers studying child behavior insist that punishing children too harshly is a big parenting mistake. Discipline, they say, is effective only when it is mild. For instance, “time out” should not be for more than a few minutes, and privilege withdrawal should not be extended for more than a day. #2: Don’t nag. If you think that constant nagging will get your kids to do as you want them to, think again. Research has proven that people tend to ignore repetitive commands. Not only that, nagging also negatively reinforces wrong behavior. #3: Don’t compromise. If you make rules, be ready to enforce them. 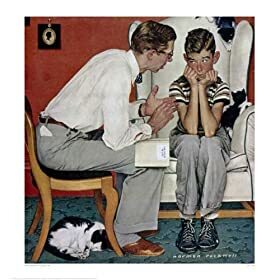 Nobody expects that you set military standards for discipline for your children, but let them know that a “no” means “no.” When your kids learn that you will not give in to their tantrums, they will simply stop throwing them. #5: Don’t over-praise. An important aspect of parenting is to praise children for exemplary behavior. However, if you habitually applaud every thing they do, you may end up undermining the effectiveness of praise as a form of positive reinforcement. This is because your children may not understand why you are praising them, or may even overestimate their own worth. #6: Don’t stress grades. Academics are important for your children, but a common parenting mistake is to stress grades over creativity. Psychiatrist and author of Great Kids, Stanley Greenspan points out that while parents make children learn rules and facts, it is more difficult to get them to think creatively. Creativity, however, is essential to help children to discard ideas that don’t work and look for alternative solutions. #7: Don’t disregard feelings. Myrna Shure, author of Raising a Thinking Child, says that children need to be able to examine their feelings about things. One of the most common mistakes parents make is disregard their children’s feelings—by telling them not to cry, for instance. A better approach is to show empathy by letting children know that you understand how they feel.